When Motorola unveiled the Moto X Play, it left Americans hanging. Would that combination of a big display, mid-tier specs and a huge battery ever reach the US? If you ask Phandroid, the answer is yes -- although it might not show up in the form you'd like. The site's sources claim that the Play will show up on Verizon later this year as the Droid Maxx 2, and that it'll cost the same $300 contract-free as the regular model would if it were officially available in the US. There's no clue as to whether or not it'll be significantly different, although an earlier HellomotoHK leak pointed to Droid-specific backing. Sadly, the apparent leak suggests that you'll still have to go to an importer (or wait for Verizon's exclusive to end, if it ever does) to get the Play in its unaltered form. And what about the non-Pure Edition of the Moto X Style? That's reportedly coming Stateside through Verizon as well, although it definitely wouldn't be the exact same handset. The tipsters believe that it'll launch as the Droid Turbo 2, and that its signature feature will be an "unbreakable" plastic OLED display that should better survive bumps and drops. You might also get a metal chassis with built-in wireless charging, if a previous HellomotoHK scoop was showing this device. The Turbo 2 would be much more expensive than the Style at $600 up front, but you'd also be getting considerably more phone for your money. *Verizon is currently in the process of acquiring AOL, Engadget's parent company. However, Engadget maintains full editorial control, and Verizon will have to pry it from our cold, dead hands. No one has started a discussion about this product yet. Talk about the Motorola Moto X Play with other people who own it too! 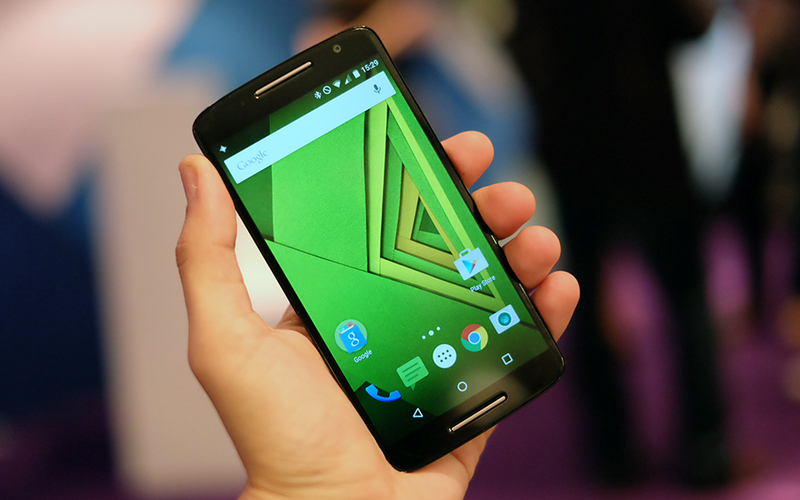 Talk about the Motorola Moto X Style with other people who own it too!